How to turn trash into cash! 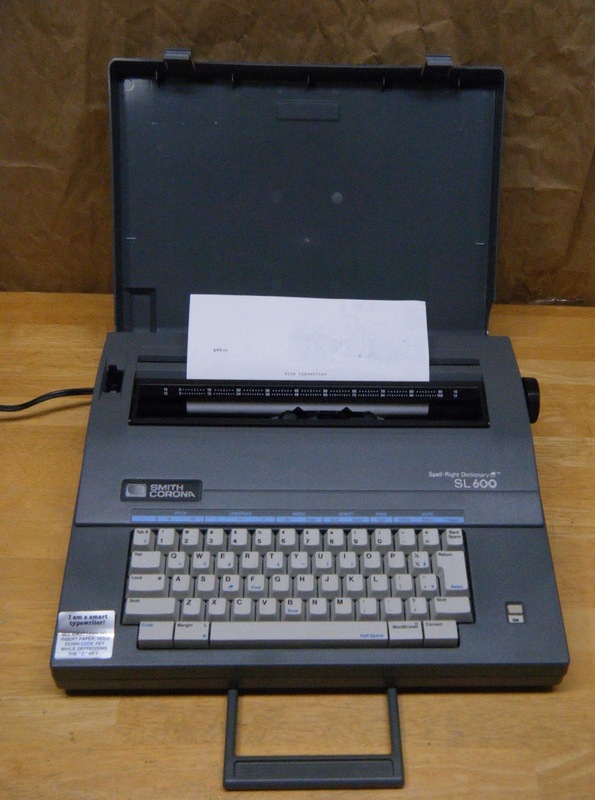 As you may have noticed, my blog entries have slowed down quite a bit. No major reason, other then I am a bit lazy, combined with a corresponding lack of garage sales to talk about. 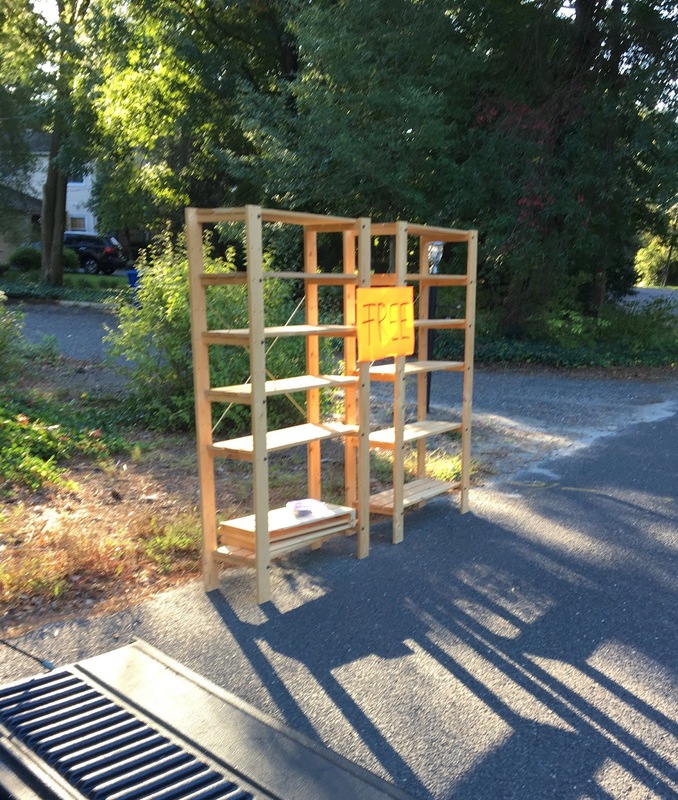 I can understand my laziness in blogging, but I don’t quite understand the lack of garage sales. Just a few years ago, I’d easily see an average of eight or more sales on any given Saturday. Now? Two or three...if I am lucky. As mentioned in previous posts, I believe some of this drop off can be attributed to folks using Facebook to sell their stuff, rather then hosting a real yard sale. It’s just a lot easier to take a picture of an item and post it on the FB, then to do all the hard work involved with running a yard sale. But I won’t let this drop-off get me down. 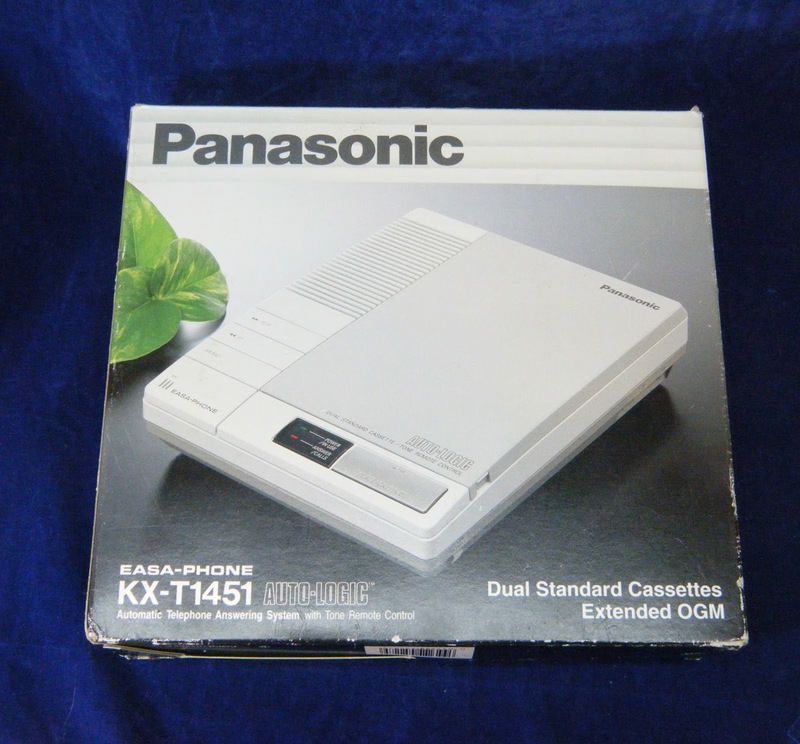 I am still holding out hope the yard sales come back with a vengeance in the Fall. In the meantime, there’s still sources like thrift shops, dumpster diving and Facebook. Here’s some great examples of stuff acquired through those sources. Best of all....non of these items cost me a dime ! Back in the fall of last year, I took a family trip to Chicago. A great city with plenty to do, but what this Dude wanted to do most of all was see Wrigley Field, the home of those Chicago Cubbies. The baseball season had just ended, so the ballpark was closed. But my family and I walked around the outside, snapping pictures and admiring the beautiful, old stadium. Making our way around the park, I noticed a big construction dumpster out by the front entrance. Apparently, Wrigley was undergoing some major reconstruction. Never one to shy away from a good dumpster, I proceeded to climb up the dumpster and peer in. Inside the dumpster were broken bricks from the iconic stadium! At that, I reached in and started collecting various pieces. As I did, Mrs. Dude rolled her eyes in disbelief, while my sons chuckled and shook their heads. Now, had I been a local, I probably would have tried to completely empty that dumpster of Wrigley Field bricks. But alas, I was in a travel status. There were only so many bricks I could take home with me. So I loaded up what I could for the trip back. Once I got home....you guessed it. 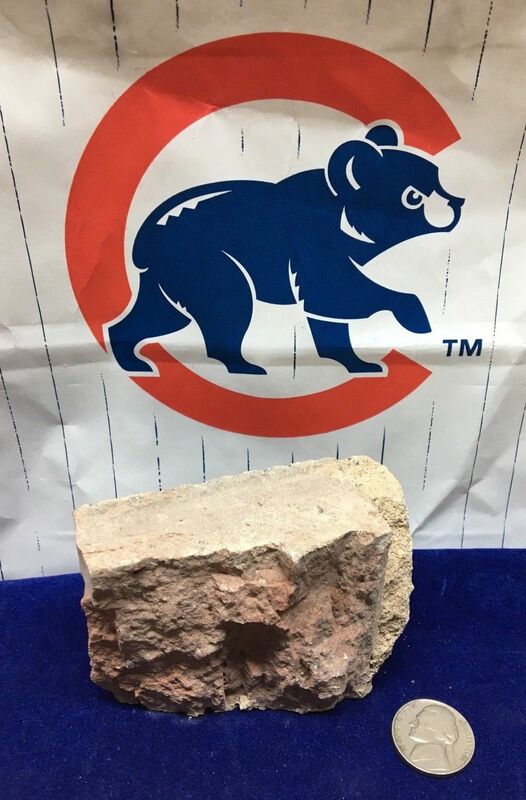 I sold several of my salvaged Wrigley bricks on eBay for $15 bucks a pop! While I didn’t make nearly enough money to cover our trip to Chicago, it did help pay for some of their famous deep dish pizza! When not climbing into dumpsters, I find that scanning Facebook also continues to be a nice source of freebie inventory. That’s what happened with the garden shed seen here. This is was what I would describe as an emergency “Come and get it” listing. It usually occurs when the people moving out of their house need the stuff removed super fast, usually because the new homeowner doesn’t want it on the property. That was clearly the case with this shed. The owner was going to settlement on the house the next day. He listed the shed on the Facebook for free with one proviso: it had to be picked up that very day. It was a quiet Sunday evening for me with nothing to do, so I hustled right over to pick it up. The shed slid perfectly into the bed of my truck and I was back at my home before Mrs. Dude even noticed I was gone. So confident was I of quickly selling the shed, that I didn’t even bother moving it from the back of my truck. Using the original photos the seller had posted on Facebook, I had the shed up for sale on Craigslist that same night. 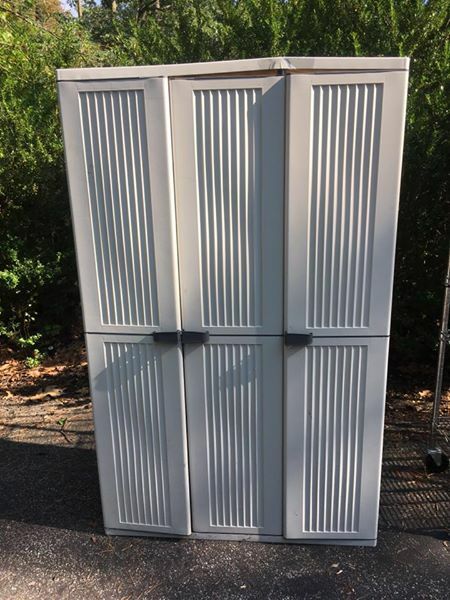 A couple days later, I sold the freebie shed for $35 bucks! 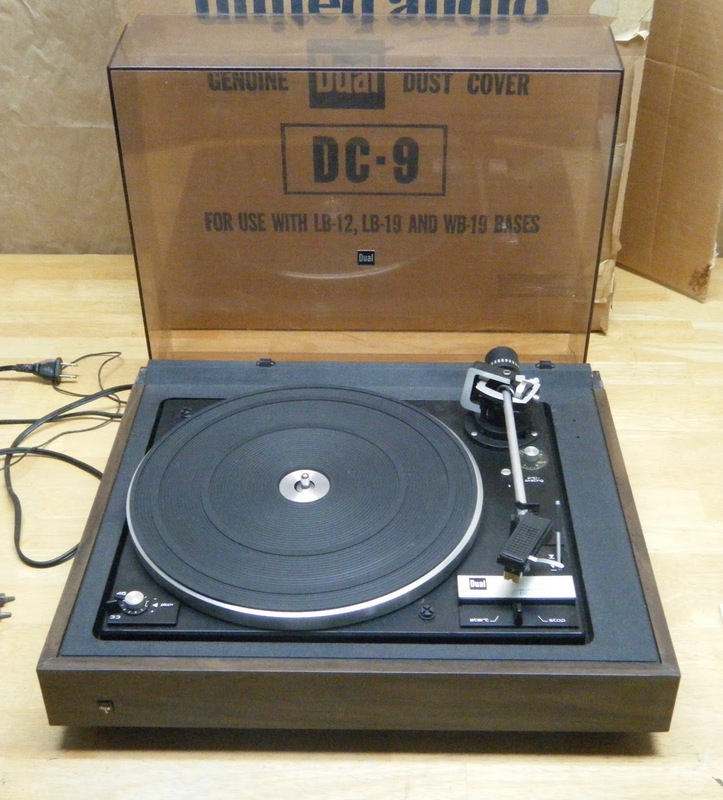 A more recent Facebook freebie was scored just a few weeks ago. 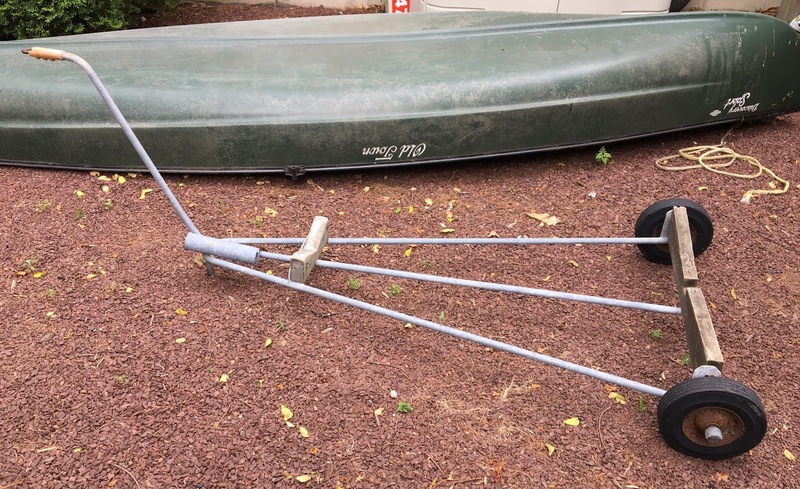 A Facebook member listed a boat/canoe hand trailer in our local yard sale group. Like the shed, it was a “Please come get it now" type listing. With my local town and surrounding area loaded with lakes and streams, I knew I could easily find a buyer for the boat trailer. I jumped in my truck and found the trailer left at the curb. Like a member of a Nascar pit crew, I leaped out of the truck, dropped the gate and muscled the heavy trailer into the back bed. The homeowners were in their garage watching my crazy fire drill. I gave them a thank you wave, slammed the tailgate shut and jumped back in the truck. All told, the pick up probably took all of sixty seconds! Once home, the old trailer sat on the side of my house for a few weeks until I got back from summer vacation. After vacation was over, it was time to list the trailer. It took a few weeks, but I found my buyer. Meeting me at local Wawa convenience store, the would-be sailor told me he wanted the trailer to transport his pedal boat. After hoisting the trailer into the back of his truck, he gladly paid me $25 dollars for my freebie find. As he pulled away, I strolled into Wawa and treated myself to a hotdog and an ice cold Coke...a nice little summer reward for my efforts! Lastly is a freebie find obtained by sheer dumb luck. Some months back, I was out on my usual Saturday morning yard sale runs. It was a particularly non-productive morning for me. I struck out at each and every garage sale I stopped at. Annoyed and frustrated, I made my way home, cutting through a neighborhood to take a shortcut. As I drove down a residential street, I couldn’t believe what I was seeing. 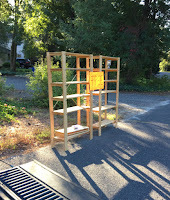 There at the curb were two huge Ikea wood shelves. Taped to the shelves was a big, bright sign which read, “FREE”! 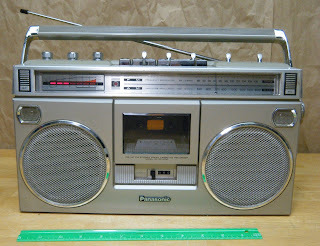 With nothing to show from my other morning efforts, it seemed like a consolation gift from the garage sale gods! I backed the truckster up to the shelves and stacked them, one on top of the other. Pulling away with my new found treasure, I couldn’t believe my luck! If I hadnt taken that random shortcut, I never would have stumbled upon the shelves. By doing so, I salvaged what would have been a fruitless Saturday morning yard sale day! The shelves went up for sale on Craigslist later that afternoon. A few days later, they sold for fifty dollars. 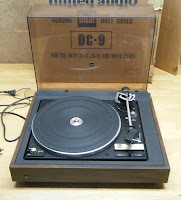 An awesome, and pretty lucky, "trash to cash" find! Do you have any awesome freebie finds? If you do, we’d all like to hear about it. Shout about them in the comment section below. 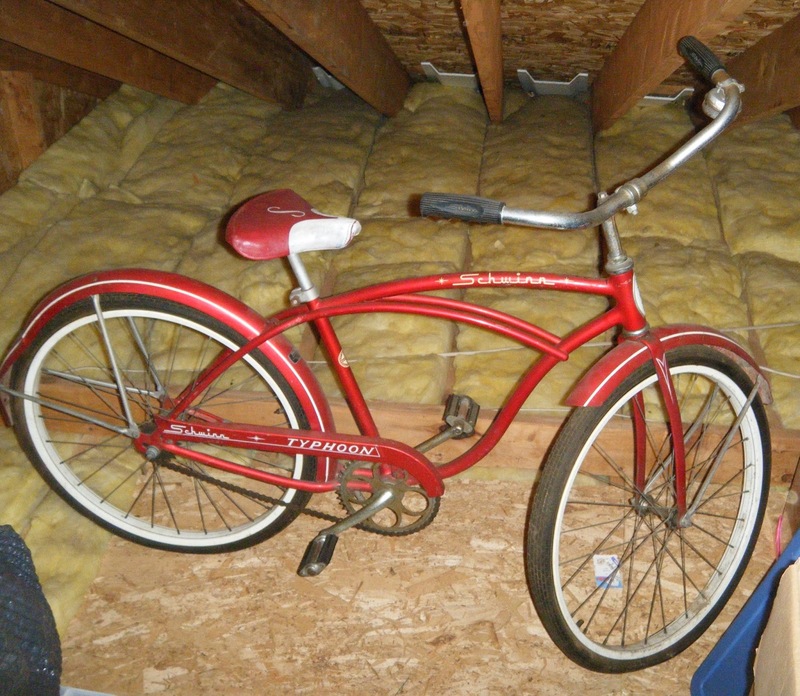 Schwinn bike in my attic. Followers of my blog know I've taken an interest in flipping old bicycles. 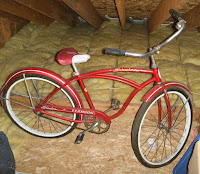 That trend started with this vintage boy’s Schwinn bike that’s been in my attic for years. I inherited this bike from my father, who I am sure, bought it at a flea market many decades ago. My father never used the bike, so it didn’t have any sentimental value to me. After holding onto it for over thirty years, I knew it was time to let it go. Using Craigslist, I sold the Schwinn to a vintage bike flipper (Tony) for $30 dollars. After the sale, I kept in contact with Tony. He told me later that he cleaned the bike up, flipping it for about double what he paid for it. Not a huge profit, but still decent money. As mentioned, I have Tony in my cellphone contacts. Anytime I come across a vintage bike, I always offer it to him first. If decides he doesn’t want it, he’ll usually give me some valuable advise on flipping it myself. Making friend and great contacts like Tony is part of the fun of this little hobby. 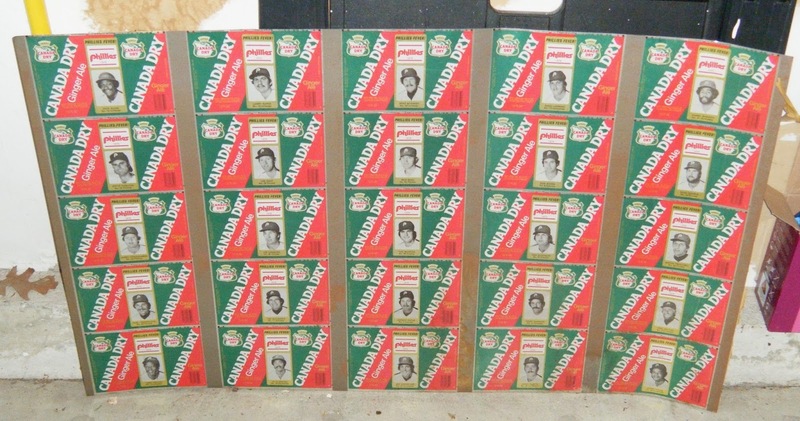 Another attic relic was this uncut sheet of Canada Dry soda cans commemorating the 1974 Philadelphia Phillies. Back then, my father worked as a machinist for the American Can Company and would occasionally come home from work with special edition collectible cans. Some of them would commemorate important historic events like the country’s Bicentennial, while others would memorialize local sports team. The Phillies sheet was big and unwieldy, and if your weren’t careful, you could cut yourself on the tin metal edges of the sheet. At the time, I thought the sheet was pretty cool and I stored it in my parent’s attic until I moved out. Like the Schwinn bike, the tin metal sheet followed me through my adult life, moving from one home to the next. Recognizing that after 40 years, I wasn’t doing anything with the sheet, I finally sold it to a Phillies collector for $60 dollars. The story has a funny ending. Back in December, I attended my family’s annual Christmas party. While the family enjoys some adult beverages and digs into various crockpots, my cousins will usually get around to picking my brain on the value of collectibles they own. On this particular festive occasion, while Santa (Cousin Tom) handed out gifts to the kids, my cousin Fran began telling me about a 1974 Philadelphia Phillies soda can sheet he owned. He wondered out loud, saying he couldn’t recall where he got the sheet from and also what it might be worth? Remembering that his father and my dad were pretty tight, I told him I knew exactly where he acquired the sheet. There was no doubt in my mind that my dad must have given him the sheet back in 1974. I went on to tell him that I had the exact same sheet and just sold it for sixty bucks! My cousin was amazed I was able to come up with some instant provenance on his treasured soda can sheet, solidifying my reputation as the family expert on all things collectible! Cold blast from the past! Going from the attic to the basement, here’s a sale I got a good chuckle out of...a little air conditioner dating back to around 1986. I bought it at Sears paying somewhere around $125. Back then, we lived in small row home with no central air conditioning. This little guy went in the front bedroom window and did a nice job keeping the room ice cold on those hot summer nights. 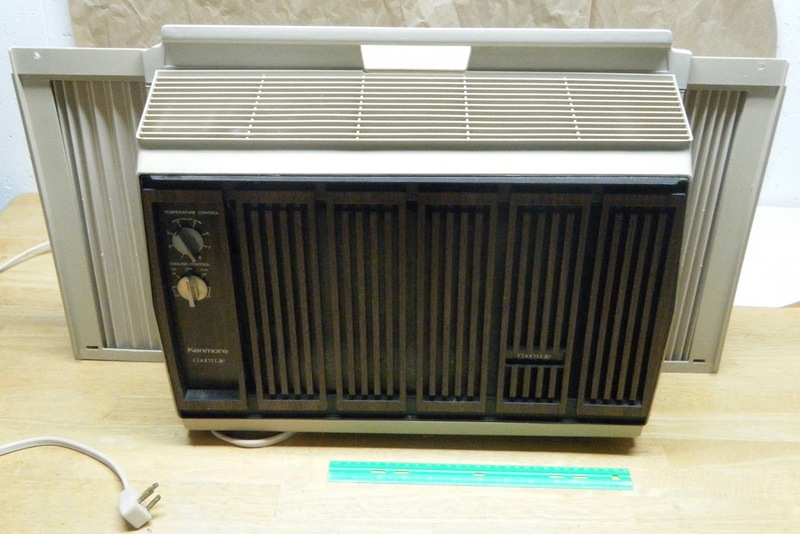 A few years later, we moved to a home with central air, so the little Sears unit went in storage in our basement. As the years went on, I'd occasionally dig it out for emergency use when our central air went on the fritz. But after installing all new HVAC in the house, I decided the little an emergency backup unit was no longer needed. I posted it for sale on Craigslist and amazingly, my 30 year old air conditioner sold for $25 dollars! (In the middle of winter no less.) How great is that? upgrading our old Apple TV box to the latest model. Now if it were up to me, I would be perfectly happy getting by with one of those cheap digital antennas you see advertised on late night TV commercials. As far as I am concerned, cable is just one big ripoff! 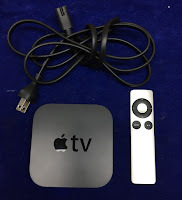 But instead, I folded like a cheap tent, shelling out a hefty $150 dollars for the latest, greatest Apple TV box. 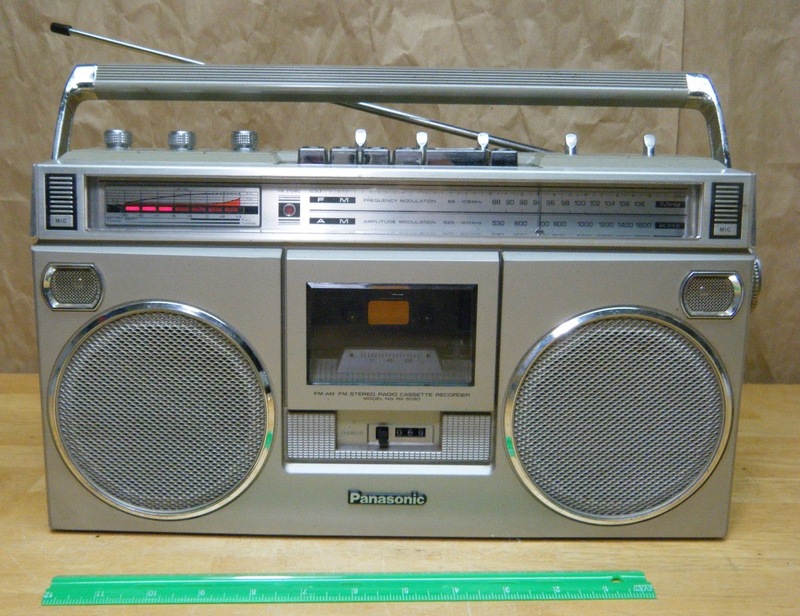 After my sons installed the new version, they told me I might be able to re-sell the old Apple box for a few bucks. They were right. 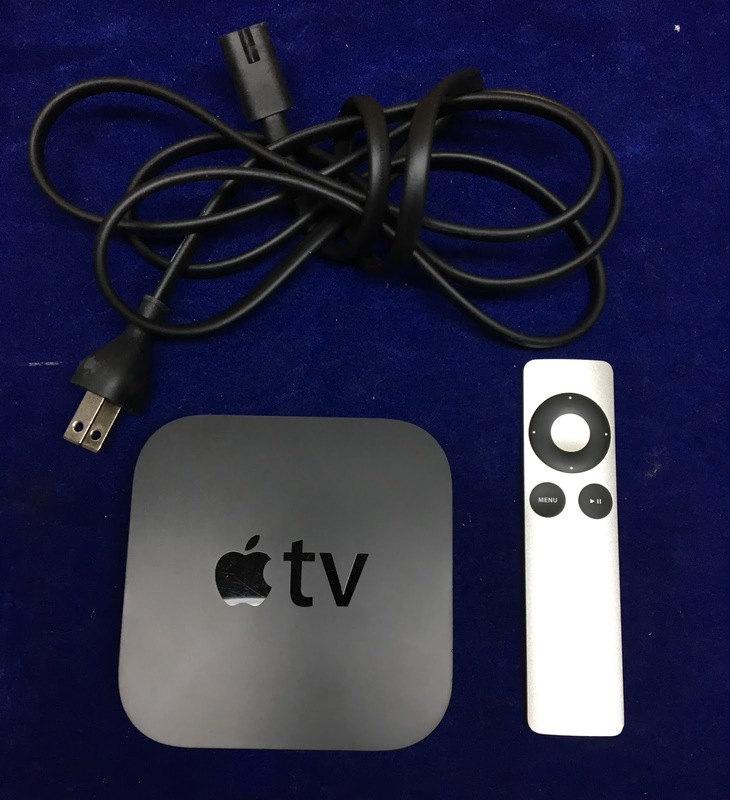 The three piece package, which included the box, remote and power cord, went for $50 bucks on eBay; a nice return that made the Apple upgrade a little easier on my wallet.